Mark Wright is a singer/songwriter who was one of the few artists from the UK to feature on the Light of Day tribute compilation, with his version of "Two Hearts." He has rooted himself in American music and has toured with folk legend and friend of Woody Guthrie, RamblinÕ Jack Elliott, as well as recording at the birthplace of rock and roll, Sun Studio in Memphis, Tennessee. 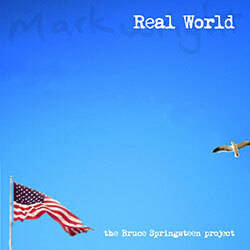 And to whet the appetite, we're pleased to make available a free download of the CD's title track, "Real World."